We are all living in the sonic boom of acceleration. It’s created when the bullwhip cracks, temporarily breaking the sound barrier. These little snaps are all around us now. 2011 saw the death of Apple Computer’s co-creator and visionary Steve Jobs, along with the death of Dr. Jack Kevorkian who envisioned a world where death should be voluntary, not imposed upon us. And after bringing in a new age of mass-publishing which helped create the spread of literacy, the King James Bible turned 400 years old. But 2011 also saw a few events that hinted at possible future trends. Here are a few big ones in absolutely no particular order. These scenarios pose questions about the world we must all struggle to answer. 1. The End of Marriage? We saw a few big celebrity couples decide to marry and divorce almost quicker than most of us can re-wallpaper a spare bedroom. These include Kim Kardashian’s 72-day marriage, and Sinead O’Connor’s 16-day marital excursion. But these are just famous people, right? Not like us? A recent Pew Analysis survey found that 40 percent of people interviewed thought marriage was becoming “obsolete.” Tie that in with the growing divorce rate and the trend to put marriage off for a career and we will likely continue to see more of a jaded image of marrying. This leaves us some big questions. How do we define family without marriage? Should we continue marriages because it’s the way we’ve always done it? What about part-time marriages, or temporary contracts? Whatever outcome, society must figure out how to best mix our DNA and raise future generations, whether inside or outside of holy matrimony. This truth can have both positive and negative implications. If you put something online, it will likely live forever. Computers are glorified copying machines. When you send something through cyberspace, you are not sending the original. You are sending a code that any computer in the world can copy. So, if you put something online, there are greater chances it will grow and multiply rather than whither and die. Congressman Anthony Weiner from New York’s 9th District learned his lesson after being caught in a social media scandal where he sent sexually explicit messages to other women than his wife. Privacy on the internet is a contradiction in terms. Evil Rulers please take note. The internet doesn’t abide well with totalitarian fascism. The net is a tool for democracy. 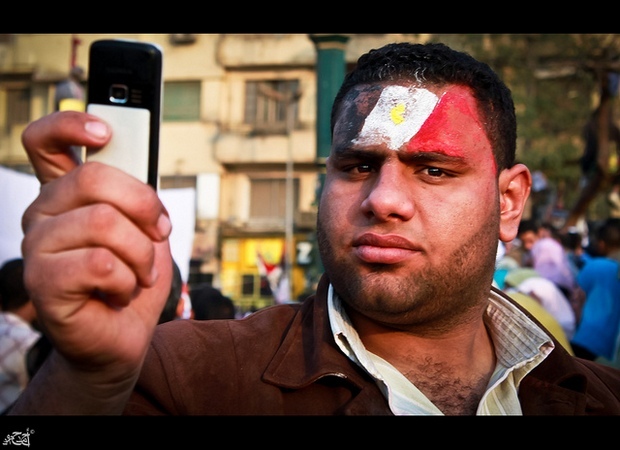 During the 2011 Arab Spring uprisings in the Middle East and Northern Africa, we saw many governments attempt to shut-down the internet. 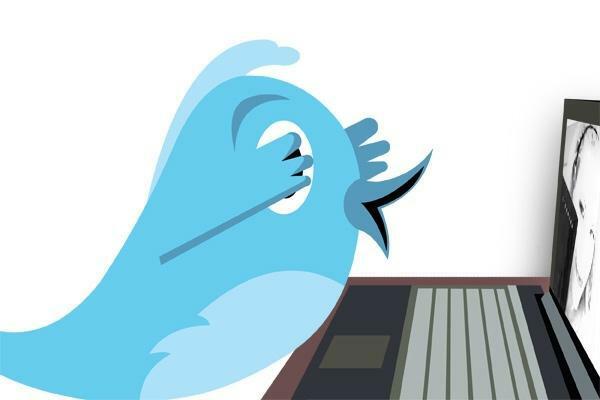 Pakistan has vowed to ban words on Twitter. But it’s not something that can be shut down, per se. Once an idea is placed online, like the voices of freedom and revolution, it’s likely to grow. One voice becomes many voices with the power of the net. This is the exact force that has corrupt regimes terrified of the possibilities. To re-cap, the internet destroys privacy. This is a bad thing if you are trying to cheat on your spouse. This is a good thing if you are protesting evil. I imagine the internet will continue to play larger and larger roles in the reshaping of governments so choose your sides wisely. Ken Jennings loses out to Watson. So does "Brad." Robots, computers, and machines will likely never try to kill humans. I doubt robots will ever harvest us from giant aquariums like we are a big race of feeder gold fish. At best, machines will treat us with unamused indifference. They won’t declare war on us with weapons, but they will win the war for our jobs. Nothing can analyze, compute, create, and design as fast as computers. And they are not slowing down any time soon. 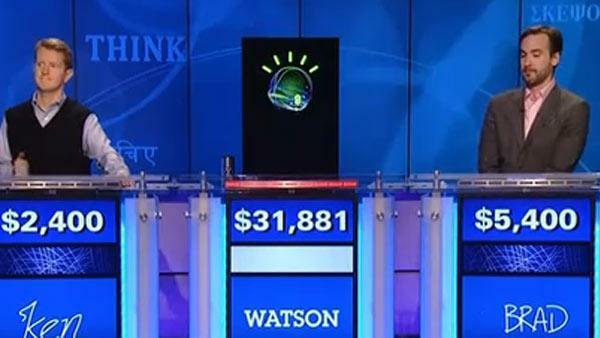 In 2011, we all watched as trivia strongman Ken Jennings lost to IBM’s Watson computer on Jeopardy. There is no argument that Jennings is one of the best players Jeopardy has ever seen, and thus, the best bet for any human to beat a computer. But Jennings lost, and humanity breathed a collective sigh of inevitability. We will continue to lose as computers learn to do more and more things. After everything is said and done, maybe computers will take more jobs than they helped create. The verdict is still out. One thing is certain though, we must re-define what it means for humans to do meaningful work in the future. 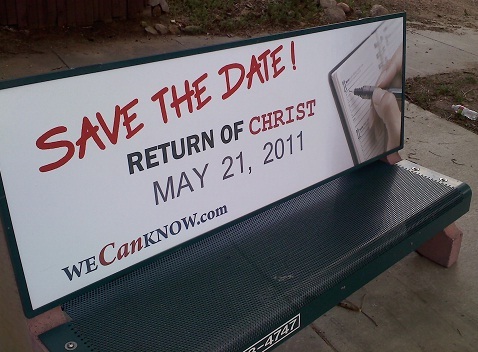 Christian Radio Broadcaster Harold Camping first “prophesied” the world would end on May 21, 2011. When he and his followers were saddened to find the world still here, he quickly “prophesied” the world would actually end on October 21, 2011. When the world didn’t end, Camping quickly retired. It was probably for the best. The lesson here: If your predictions regarding the end of the world are wrong, please keep all future visions of doom to yourself. Thanks to all you readers in 2011. I promise 2012 will be even more grand as we plan some big things for this blog. I always enjoy hearing from you. Please feel free to leave a comment. Thank you so much for all this blog’s success. Hope your year was as enjoyable as mine. This entry was posted in Futurism and the Tomorrow Mill, In the News and tagged Arab Spring, divorce, future trends, Harold Camping, internet privacy, Jack Kevorkian, Jeopardy, Ken Jennings, Kim Kardashian, Marriage, Middle East, robot revolution, Steve Jobs, Twitter. Bookmark the permalink. I always love reading your blogs and look forward to more in the new year. Assuming, of course, it doesn’t end for a third time next Dec.
Much appreciated, Victoria. Agreed. Three back-to-back apocalypses are a little much to handle. Thanks again. Look forward to hearing from you soon.